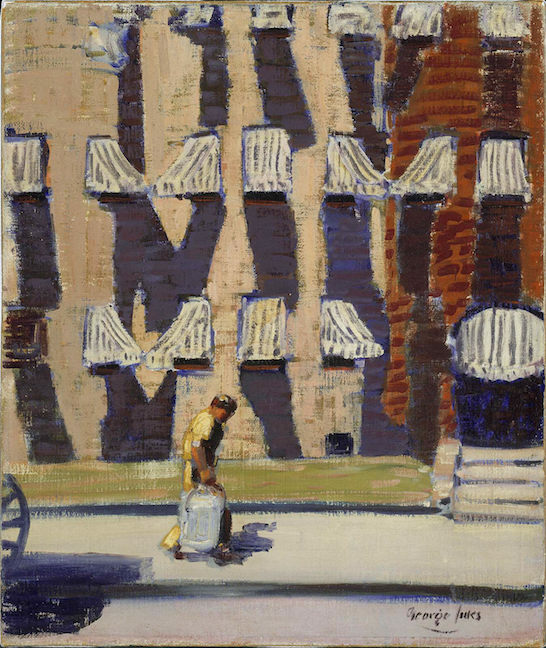 George Luks was an American realist painter and comic illustrator, best known for his images of New York and its inhabitants. 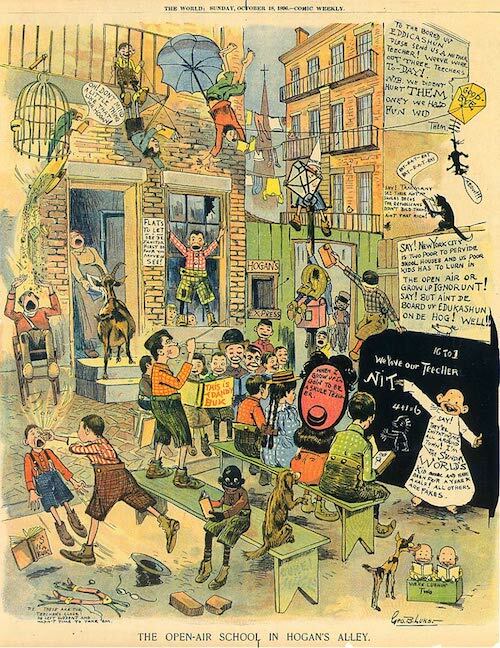 Born in Williamsport, Pennsylvania, Luks worked as a vaudeville performer before moving to Philadelphia to study art at the Pennsylvania Academy of the Fine Arts…Luks was publishing comic illustrations in Puck and Truth, and upon his return in 1893 he accepted a job as a newspaper illustrator at the Philadelphia Press. His career took a small detour in 1895 when he traveled to Cuba as an artist-correspondent for the Philadelphia Evening Bulletin…When he returned to America in 1896, he joined the staff of Pulitzer’s World as an illustrator and cartoonist…One of his many famous colleagues at the World was Richard F. Outcault, who had joined the staff in 1894…Outcault’s Yellow Kid became so popular with the public and showed that it increased the newspaper’s sales as well as the sales of merchandise his likeness appeared on, from candy to whiskey. This awareness was occurring at the same time that William Randolph Hearst had come to town, purchased the Journal and was having an intense battle with Pulitzer’s World for dominance in New York City. 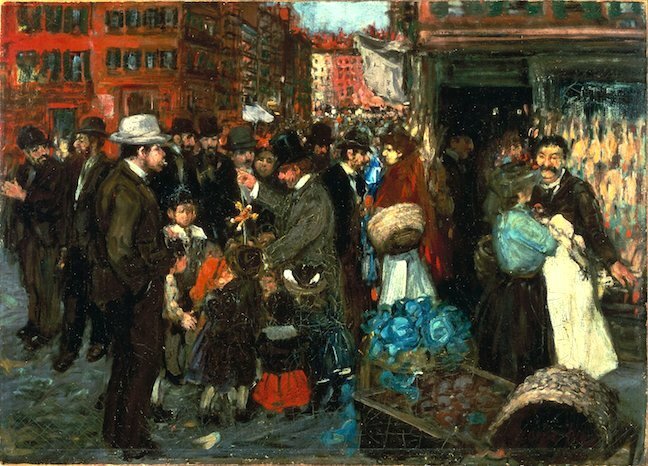 Hearst knew a good thing when he saw it and lured Outcault away from Pulitzer…Pulitzer was not to be outdone, however, and assigned Luks to continue drawing the Yellow Kid in Hogan’s Alley for the World…Luks [continued to work] at his painting and was finally able to make a living at it. He left the newspaper in 1898. 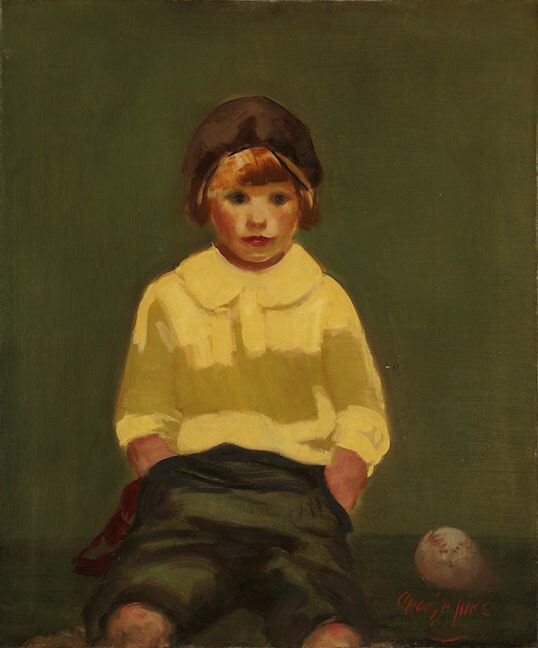 George Luks prided himself in being the “bad boy” of American art and would be pleased that this notion has survived as his reputation as a significant painter of the twentieth century continues to grow. A heavy drinker and engaged story-teller, Luks manufactured details of his own life to make himself more colorful. Most ingrained in his biography was his tall tale of having fought in the Mid-West as “Chicago Whitey,” a middle-weight boxing champion. No one ever checked his details. However, the mythology Luks created around himself masked an insecurity that reveals itself in the diversity of styles he sometimes employed as a painter. His mainstay was realism, but he experimented with impressionism and post-impressionism and was known to alter a canvas if it was criticized, sometimes ruining it entirely. 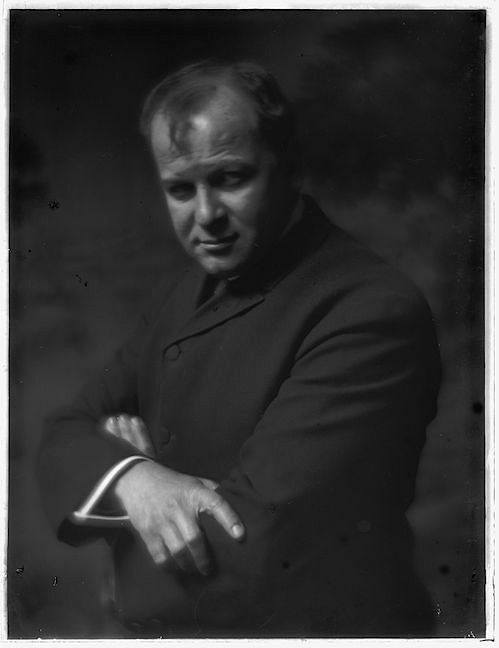 The critic, James Huneker, noted literally hundreds of unfinished canvases in Luks upper Manhattan studio which he would either re-work or paint over. But when Luks was “on” he was a forceful painter of huge talent and confidence, noted for his sure, brilliant handling of a brush.